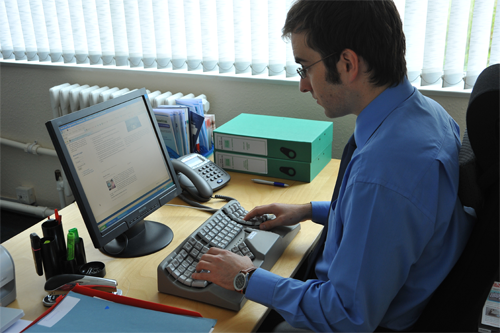 This two handed L90 Maltron fully ergonomic keyboard has the latest revision of physical key positioning, and is therefore ideally suited for people new to Maltron keyboards. 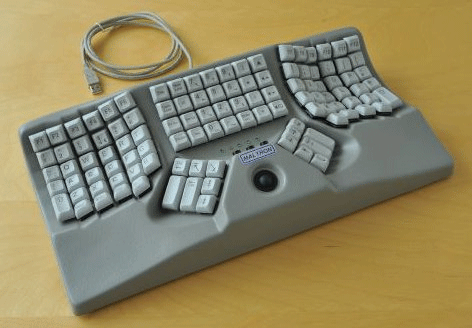 This two handed USA English Maltron fully ergonomic keyboard fits the shape of hands and the different lengths of fingers to reduce movement and tension. In this way it can not only prevent the onset of RSI (Repetitive Strain Injury) symptoms but is an aid to RSI relief and even recovery from RSI pain. This keyboard is available with a choice of features such as colour, key layout and PC or Apple Mac compatibility. 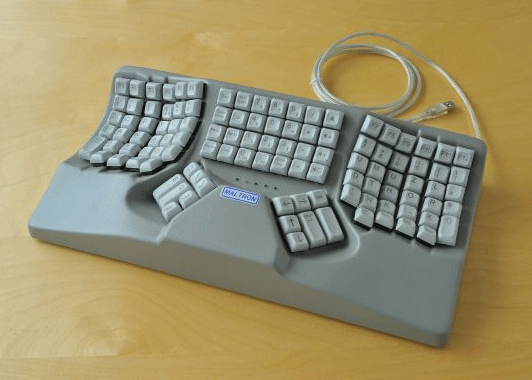 The keyboard can optionally be supplied with a built-in ergonomic trackball mouse. Most options are self-explanatory but if you're not sure, please contact us and we'll be happy to help. 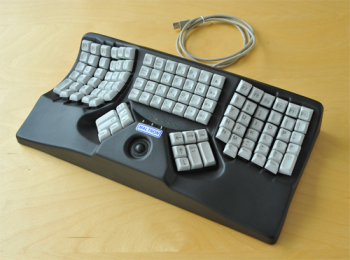 The fully ergonomic fits the shape of hands and the different lengths of fingers to reduce movement and tension. 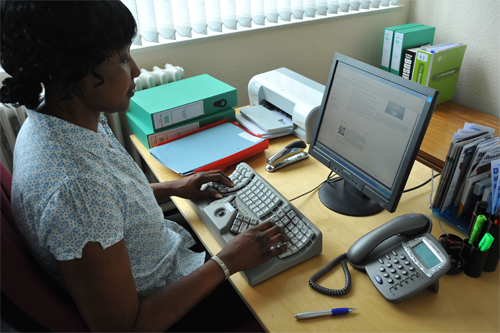 Tilted keys and pads minimise palms downward movement (Pronation) to further reduce muscle tension. 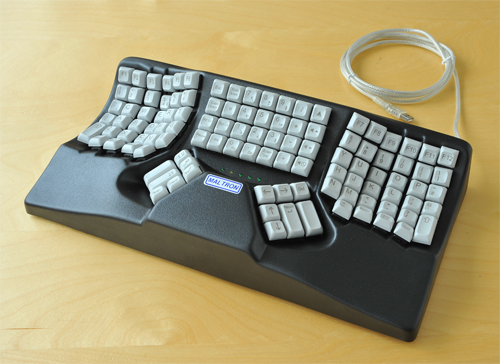 QWERTY: The most familiar, but also the most inefficient key layout from a practical and ergonomic point of view. Find out why in this article. Dvorak: Used in several countries and popular in parts of the USA. All vowels are placed on the left-hand home row, while the common consonants are placed on the right-hand home row. This means that instead of hammering away with one hand to build many commonly used words, or parts of words, you use alternate left/right hand keystrokes more often which is much easier to do. 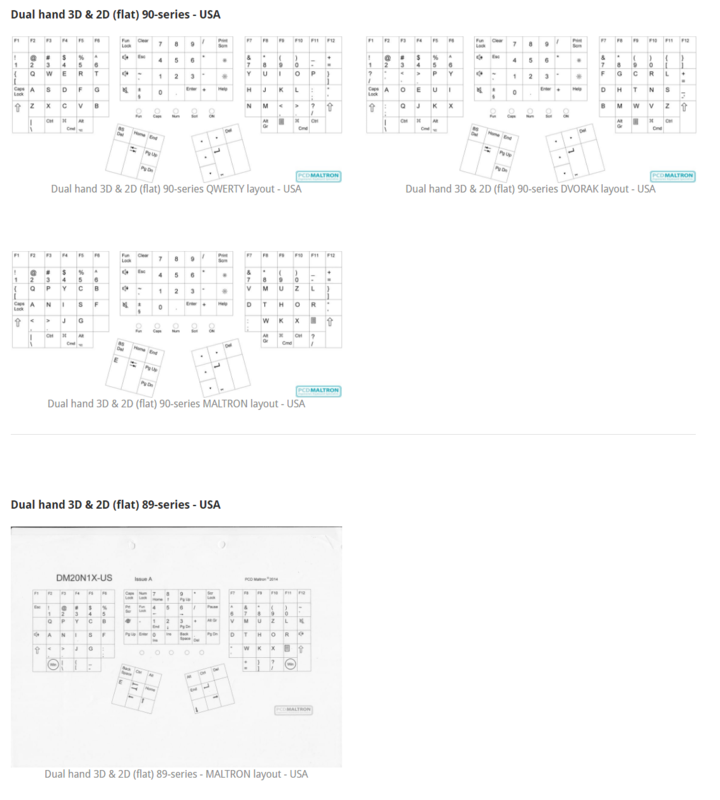 Read more about the Dvorak key layout here. 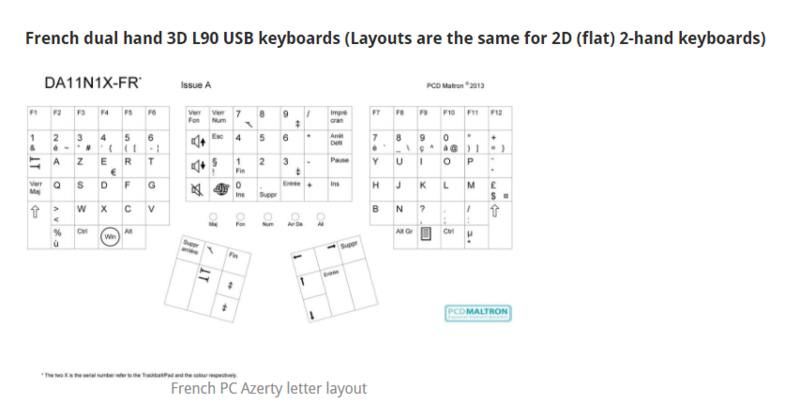 Maltron: The Maltron letter layout is based on extensive frequency of use (fou) analysis, and places the most common letters and functions where the fingers and thumbs may easily and comfortably reach them.